Lucille Ball. It’s no doubt one of the most iconic names in television history and with good reason. With a determination and tenacity that was as strong as her hair was red, Lucille Ball broke ground not only in front of the television screen but behind it. She was instrumental in the creation of the infamous I Love Lucy sitcom along with a number of other less successful but still noteworthy series including The Lucy Show and Here’s Lucy, and was a co-founder of Desilu, the studio that not only produced I Love Lucy, but introduced the technique of using multi-camera taping in front of a live audience. 2012 marks what would have been Lucille Ball’s 101st year in existence and in light of that, here are 101 facts about this famous red-head. 1. 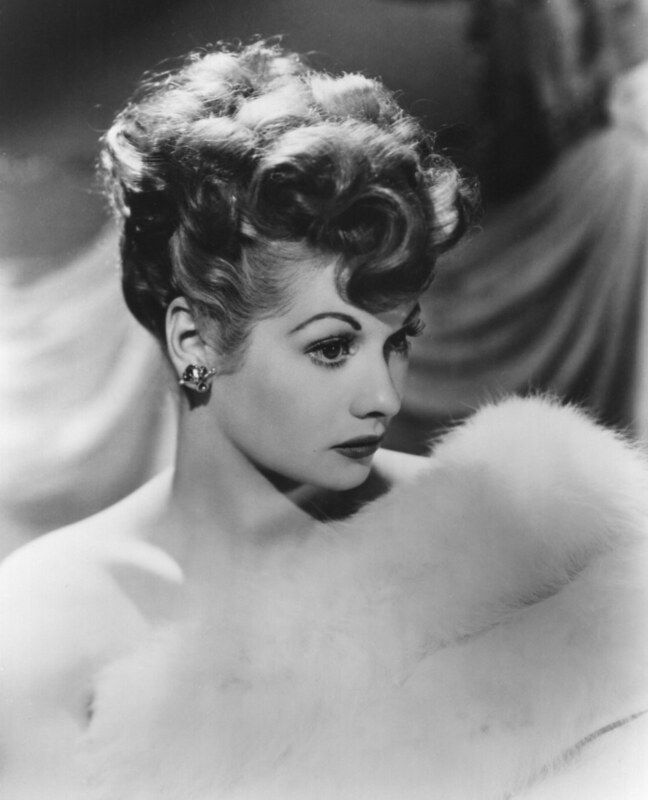 Born Lucille Desiree Ball on August 6, 1911. 2. Birth place has been listed as Jamestown, New York or Celeron, New York. 3. Father’s name was Henry Durrell Ball and mother’s name was Desiree Evelyn Hunt. 4. Was a natural brunette. 5. Dropped out of high school at the age of 15 to begin a career in the arts. 6. Attended John Murray Anderson School for the Dramatic Arts with Bette Davis. 7. Began modeling as a teenager under the name Diane Belmont. 8. Dyed her hair blonde as a young adult. 9. Born at 5 p.m. EST. 10. Chosen in 1933 to appear in an ad campaign as the Chesterfield Cigarettes Girl. 11. Height was 5’ 7 ½” (about 3 ½ inches above the average for women). 12. Before the age of four, she spent time living in Jamestown, NY, Anaconda, MT, and Trenton, NJ. 13. Was once fired from an ice cream store because she couldn’t remember to put bananas in banana splits. 14. Moved to Hollywood in 1933 when selected for an uncredited role in Roman Scandals. 15. Played bit parts in three Fred Astaire/Ginger Rogers movies – Roberta (1935), Top Hat (1935), and Follow the Fleet (1936). 16. Was a distant cousin of Ginger Rogers. 17. Had a brother, Fred, who was born in 1915. 18. Has ancestors that helped found the city of Charlestown, Massachusetts. 19. Was signed to Metro-Goldwyn-Mayer in the 1940s. 20. Earned the nickname “Queen of the B’s” due to her string of roles in B-movies (Fay Wray, of King Kong fame, was the previous holder of this title). 21. Was known by other nicknames including Technicolor Tessie, The First Lady of Television, and The Queen of Comedy. 22. Sported a black eye and torn dress (the result of filming a fight scene for Dance, Girl, Dance) on the first day she met Desi Arnaz in 1940. 23. First shared the screen with Desi Arnaz in the 1940 film Too Many Girls. 24. Married Desi Arnaz for the first time on November 30, 1940 at the Byram River Beagle Club in Connecticut. 25. Had a second wedding with Desi Arnaz in 1946 because his mother felt they needed to be married in a church. 26. Considered Carole Lombard her idol and more deserving of the title The Queen of Comedy. 27. Lifelong friend of Barbara Pepper, a fellow bit-player in Roman Scandals and a frequent guest star on I Love Lucy. 28. Was six years older than Desi Arnaz. 29. In 1936, registered to vote as a Communist to please her grandfather who was a socialist. 30. Began doing radio work in the late 1930s to supplement her film income. 31. Began dyeing her hair red in 1942 when Technicolor was introduced at MGM. 32. In 1948 landed the role of Liz Cugat in the CBS radio program My Favorite Husband, a show that would later be parlayed into her trademark television series – I Love Lucy. 33. Agreed to develop My Favorite Husband as a television show under the condition that Desi Arnaz play her husband. 34. Formed Desilu Productions in 1950 with then-husband Desi Arnaz. 35. Was nominated for 13 Emmy Awards and won four. 36. Auditioned for the role of Scarlet O’Hara in Gone With the Wind. 37. Gave birth to her first child, Lucie Desiree Arnaz, on July 17, 1951. 38. Entered American homes as Lucy Ricardo in I Love Lucy on October 15, 1951. 39. Smoked Chesterfield cigarettes, but since Philip Morris sponsored I Love Lucy, she hid her Chesterfields in a Philip Morris package. 40. Gave birth to her second child, Desiderio Alberto Arnaz IV (i.e. Desi Arnaz, Jr.) on January 19, 1953. 41. Appeared with Desi Arnaz, Jr. on the first cover of TV Guide magazine in 1953. 42. Claims her favorite film she made was The Big Street (1942), in which she appeared opposite Henry Fonda. 44. Has never been off the air since debuting I Love Lucy in 1951. 45. Achieved the longest laugh ever recorded on track (65 seconds) during the “Lucy Does the Tango” episode of I Love Lucy in which she’s dancing with about a dozen or so eggs stashed in her shirt. The eggs of course crack during the final spin sequence of the routine. 46. Was two years younger than Vivian Vance, her co-star on I Love Lucy and The Lucy Show. 47. Appeared on a 1956 Bob Hope special on NBC with her three I Love Lucy cast-mates, the first and only time they all appeared together in color. 48. Filmed the last episode of I Love Lucy in 1957. 49. Re-tooled I Love Lucy as The Lucy-Desi Comedy Hour, an hour long show that ran from 1957 – 1960. 50. Along with Desi, she took Desilu Productions public on the NYSE in 1958 at $10 per share. 51. Divorced Desi Arnaz on May 4, 1960. 52. Bought out Desi’s share of Desilu after their divorce, becoming the first woman to head a production company. 53. Had originally filed for divorce from Desi in 1944 but reconciled. 54. Starred in two Lucy sitcoms without Desi Arnaz, The Lucy Show (1962 – 1968) and Here’s Lucy (1968 – 1974). 55. Starred on film with Desi Arnaz for the second time in The Long Long Trailer (1953). 56. Claimed a dream in which Carole Lombard told her to “Give it a whirl” was the impetus she needed to start I Love Lucy. 57. Made 180 episodes of I Love Lucy. 58. Was Frank Sinatra’s first choice for the role of Mrs. Iselin (Laurence Harvey’s mother) in The Manchurian Candidate (1962). 59. Married her second husband, Gary Morton on November 19, 1961. 60. At the age of 48, starred in 171 performances of Wildcat, her only Broadway show. 61. Was almost 40 when her she had her daughter, Lucie Arnaz. 62. Was selected by TV Guide as the greatest TV star of all time. 63. Her background includes Irish, Scottish, French, and English heritage. 65. Was married to Gary Morton until her death in 1989. 66. Earned $3500 per episode on I Love Lucy. 68. At one time, lived next door to Jack Benny in Beverly Hills. 69. Just over 25 years after appearing opposite Henry Fonda in The Big Street, she starred opposite him in Yours, Mine, and Ours (1968). 70. In 1977, was among the first recipients of the Women in Film Crystal Award. 71. Received the Golden Globe Cecil B DeMille Award in 1979. 72. Has appeared on the cover of TV Guide more than any other person. 73. Attempted a final comeback to television in 1986 with Life with Lucy, but the show only lasted for eight episodes. 74. Remained friends with Desi after their divorce. 75. Outlived all three of her I Love Lucy cast-mates – Desi Arnaz, Vivian Vance, and William Frawley. 76. Was sidelined for two years from her early modeling career by rheumatoid arthritis. 77. Was reported to be the richest woman in television in 1968, with an estimated $30 billion in earnings. 79. Was good friends with Maureen O’Hara. 80. Pictured on a 34₵ stamp in the Legends of Hollywood series in 2001. 81. Pictured on a 44₵ stamp in the Early Television Memories series in 2009. 83. Starred in a 1943 movie title Best Foot Forward. 84. Can be seen in reruns in more than 77 countries. 85. Inducted into the National Women’s Hall of Fame in 2002. 86. Died on April 26, 1989 of acute aortic aneurysm. 87. Was originally buried in Los Angeles, CA, but in 2003 was re-interred in Jamestown, NY. 88. In 1990, was posthumously bestowed the Women’s International Center Living Legacy Award. 89. Earned $1500 a week for her work in Too Many Girls. 90. Credits Buster Keaton with teaching her about timing, how to fall, and work with props. 91. Considered Desi the great love of her life. 93. Appeared in more than 70 movies during her career as an actress. 94. Was the first woman to receive the International Radio and Television Society’s Gold Medal. 95. Appeared at the 1989 Academy Awards as a presenter with Bob Hope one month before passing away. 96. Died at approximately 5:47 PST. 97. Was 77 when she died. 98. Was awarded two stars on the Hollywood Walk of Fame – one for her motion picture contributions and one for her television contributions. 99. Was married to Desi Arnaz for 20 years. 100. Was married to Gary Morton for more than 27 years. 101. Has a comedic talent than has often been imitated but will never be equaled (ok this is my own opinion, but it’s practically a fact). What's Your Favorite Episode of I Love Lucy? 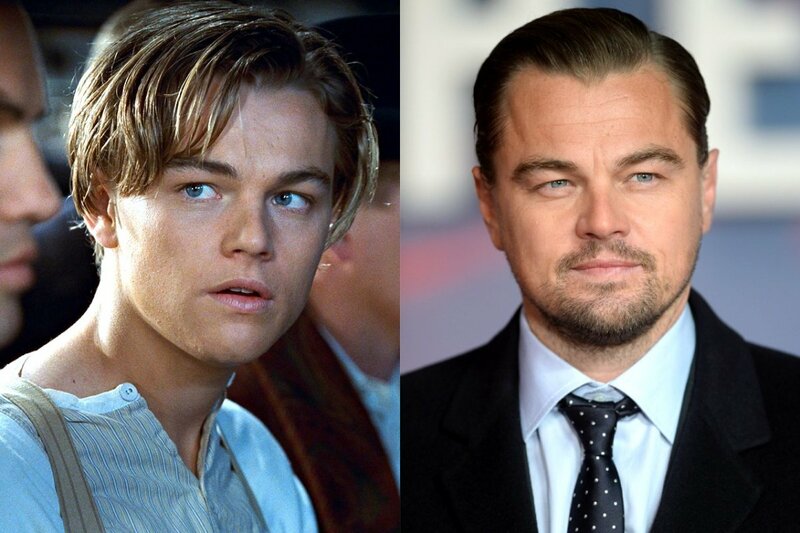 Male Heartthrobs of the 1990s: Where Are They Now? I own a few of the great late LUCY'S checks. They are "framed" and has a special place in my memories of Lucille Ball Collection. Oddly enough, throughout the years that I owned "one" specific check...it kept showing up in the oddest places. Near boxes of chocolates, near a black vintage cigarette holder...near a small wooden crate of grapes and finally laying on the seat of a kid's tricycle! All of these places are "related" to "I LOVE LUCY" episodes. Additionally, I saw that specific check laying near a large loaf of bread and finally a jar of salad dressing! Hum....LUCY IS STILL AT HER PRANKS! I Love Lucy, Lucille, RIP Sweet Child...all of heaven is laughing! ;-D *P.S. I still have the check endorsed by Lucille...but now it just sits in the frame with her colorized autographed photograph. Thank you for this very well written piece of work ! My mistake jg. I will fix it. Hi amandajoy - I got the facts from various Internet sites, although I have read numerous books about her. Wow - your great grandfather knew her - that's awesome! Lucille Ball is one of the best TV comedians! Did you get these facts from the book by James Sheridan? Another fact: production for Mame was put on hold until Lucy healed from a ski accident. My grea-grandfather knew her and complained about her broken ankle. Love, love, love lucy. I have every episode on dvd and watch it religiously. Always makes me laugh. Black and white shows always makes me feel good. I LOVE lucy! Voted up, these are some great facts about her. Thanks KDuBarry. It was definitely one of my favorite shows as a kid and I still watch it today. 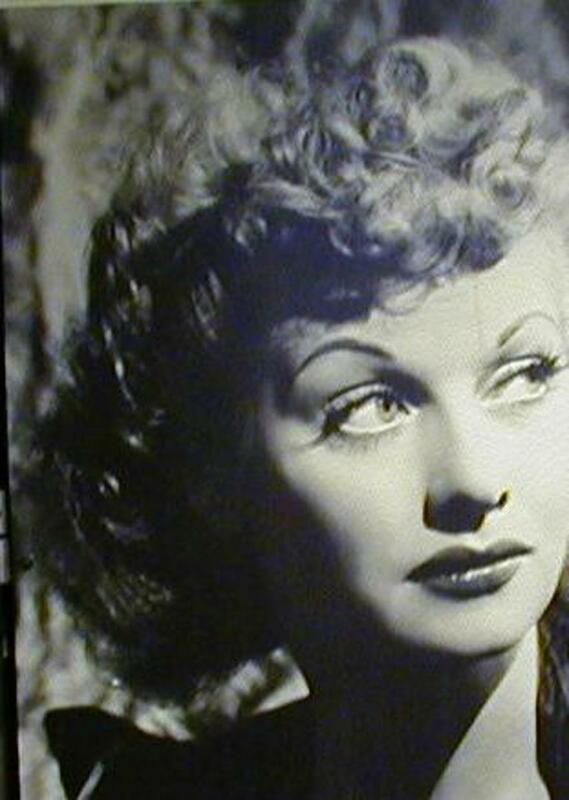 I absolutely love Lucy! My mom and dad used to watch the show all the time and I usually joined them when I was a kid. Great show and great hub! Lucille Ball was truly a treasure. Thanks for reading and commenting Debbie. I love what ever Lucy ball did.. this is a great hub. brought back lots of good memories. Thanks Sunshine - the chocolate factory episode is definitely a classic. The great thing about I Love Lucy is that it's still funny even in today's society. Awesome tribute to Lucy! I Love Lucy! The grape stomping episode is one of my favorites. I like the chocolate factory episode also! Well done! Thanks. Yeah it is pretty funny about her stint at the ice cream store and it's always amazing to find out how much celebrities are worth.